Kathy Vizas (TPW 2014 – 2015), a Founding Member of the Maverick Collective, traveled to India and Myanmar to meet women with cervical cancer and to learn about their experiences. It was these early encounters with women who had recently received their own cancer diagnosis, and with the doctors in urban and rural communities working to save them, that motivated Kathy to get involved. Working with international health organization Population Services International (PSI), she developed a cervical cancer program in India, which ensured access to a simple, inexpensive screening technique using household vinegar, provided treatment when precancerous lesions were found, helped increase education about prevention within communities, and ultimately saved lives from this preventable and treatable disease. After three years of work on the program in India, Kathy wanted to leverage her knowledge and bring in others to support and expand the work. Disappointingly, despite strong results and interest from the communities involved, she found limited financial support, especially from larger donors and foundations. 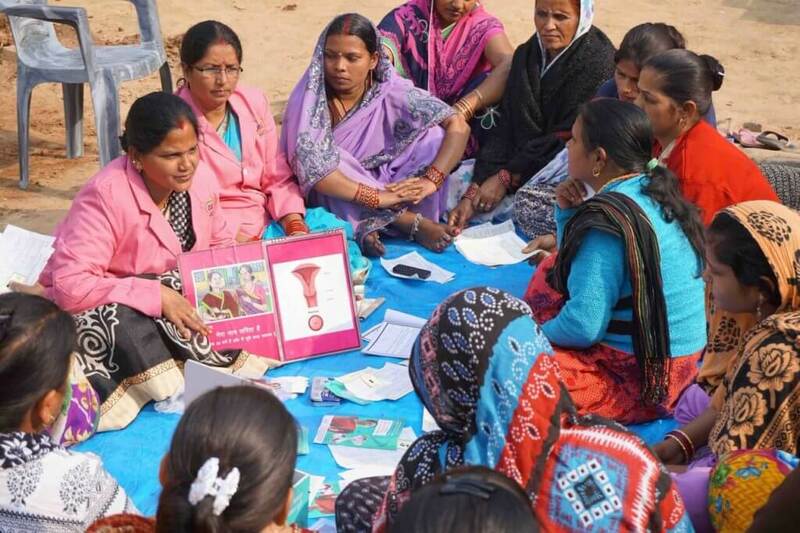 Driven by the women she had met and the belief that no more women should die from a treatable disease, Kathy spent time learning and working with implementers, advocates, medical personnel and stakeholders to understand the root problems. And thus, TogetHER for Health was born. greater awareness for women globally to get screened earlier, when successful treatment is more feasible. The initiative works with proven implementing partners on the ground to further ensure that more women get access to the screening and treatment they may need. Following a successful career as a corporate lawyer on the West Coast, Kathy’s time is now more focused on what happens in the homes of women and girls and the clinics of Asia and Sub-Saharan Africa, as well as in the boardrooms and donor meetings of Washington, New York and Geneva. Her skills developed in arguing corporate law are now being used to persuade on the importance of preventing and treating cervical cancer globally. Kathy Vizas (TPW 2014 – 2015) joined TPW in 2014 to learn the skills of focused and effective giving. Prior to co-founding TogetHER for Health, Kathy practiced law for over 20 years in both law firms and large corporations. She is Board Chair for SpringImpact Inc., which supports social sector organizations achieve scale, and is a member of the San Francisco Committee for Human Rights Watch, and the Advisory Board of the Human Trafficking Legal Center.